Civic engagement, or advocacy on behalf of the public, has long been a critical component of American life. While American women have been involved in public life for centuries, their early engagement was typically via male relatives. It was not until the 19th century that women truly entered the public sphere, engaging in public discourse around specific issues as a bloc. While these early actions helped women learn the power of civic participation, the 19th and early 20th century's suffrage movement, in which women engaged in advocacy and activism to win themselves the vote, is the first we consider a truly feminist one. The descendants of these early women activists carry the tradition forward. 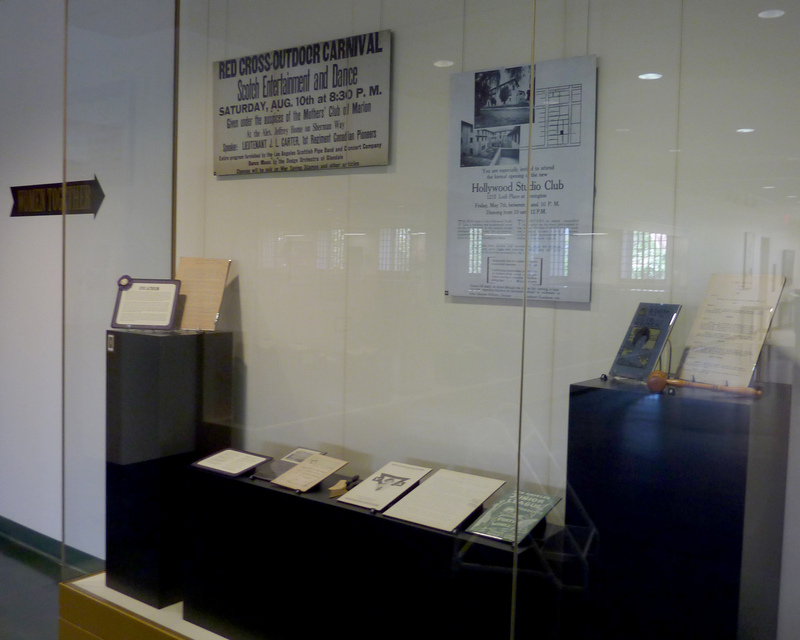 In the face of sexism and discrimination, they have assumed leadership roles and formed coalitions, clubs, and associations with branches and offices across the United States. The depth, scope, and scale of their contributions, which have spanned myriad issues and concerns, have had a tremendous impact on the lives of all Americans. 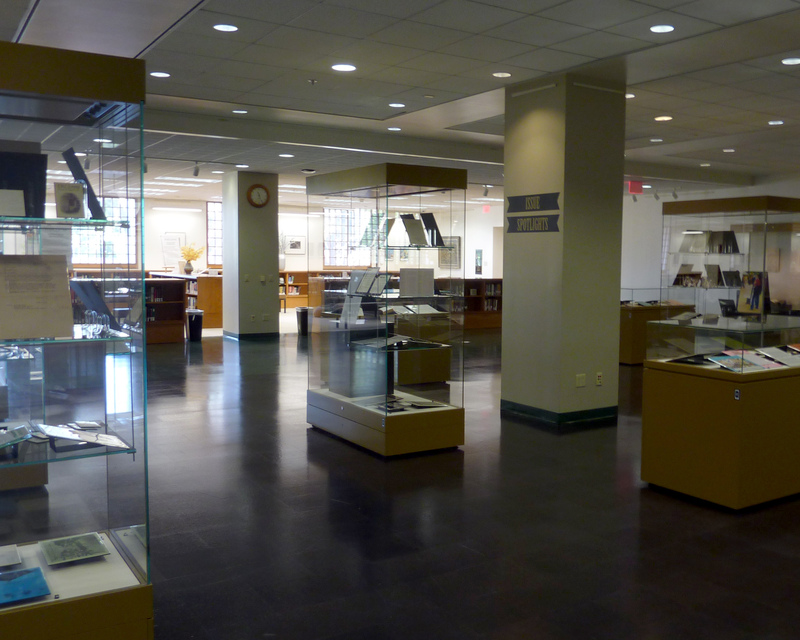 On display are selections from Special Collections and Archives that document the civic and community participation of women in Los Angeles and across the United States. 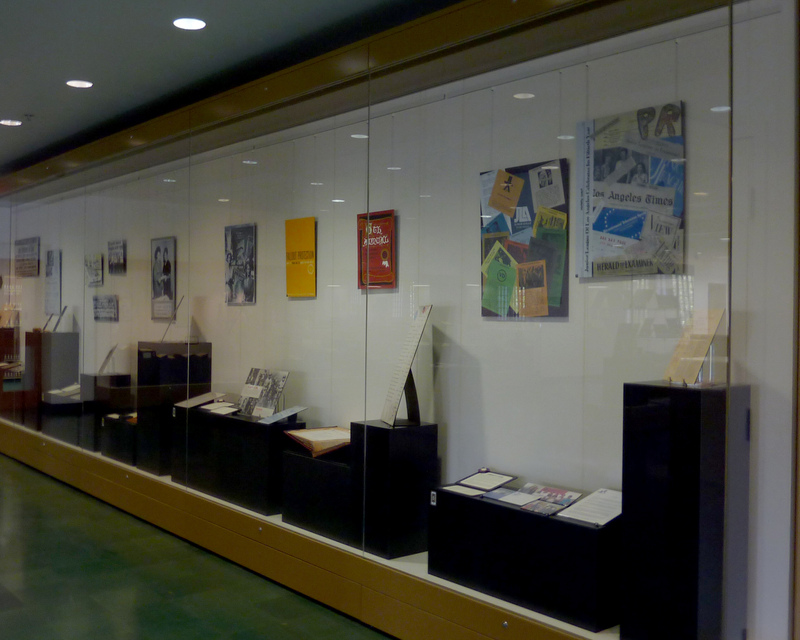 The display consists of three parts. 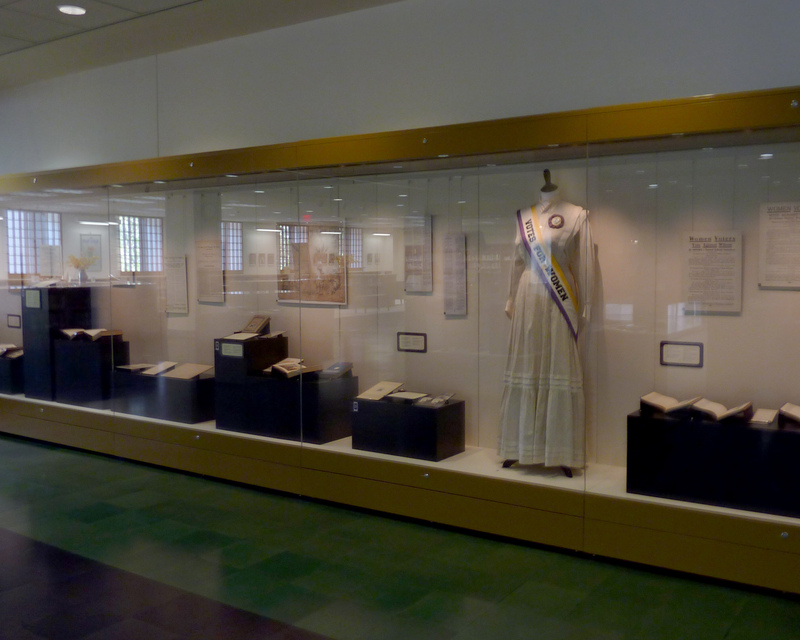 The case along the east wall, titled Votes for Women, is a history of the woman suffrage movement in the United States. 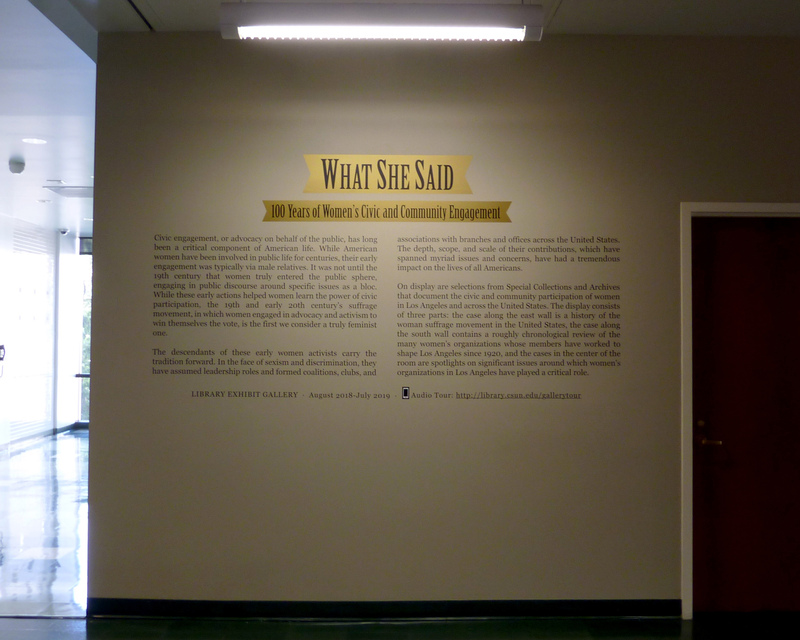 The case along the south wall, titled Women Together, contains a roughly chronological review of the many women's organizations whose members have worked to shape Los Angeles since 1920. 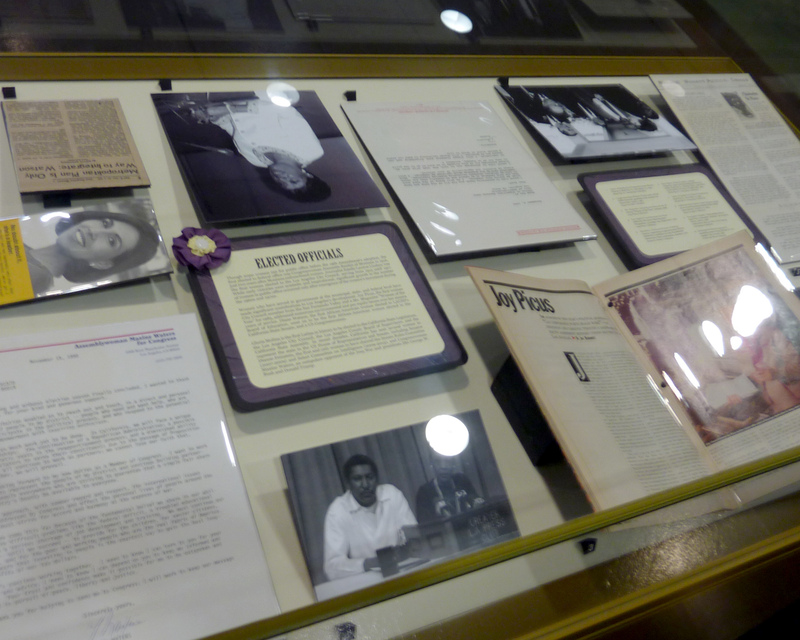 The cases in the center of the room are spotlights on significant issues around which women's organizations in Los Angeles have played a critical role.